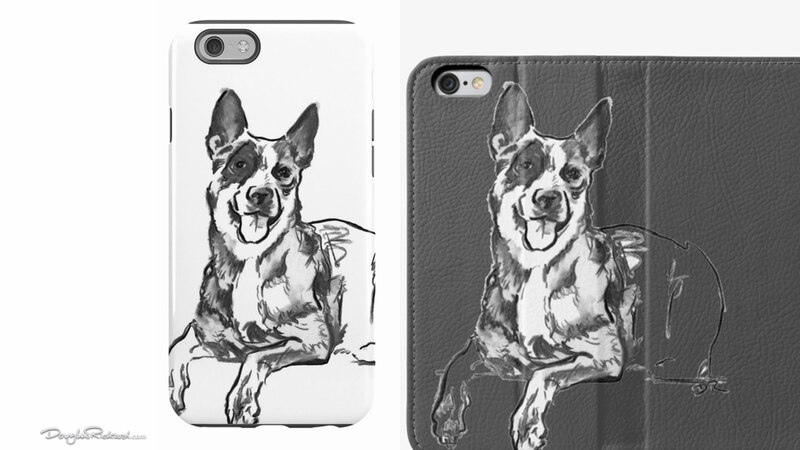 As your Blue Heeler goes everywhere, right? 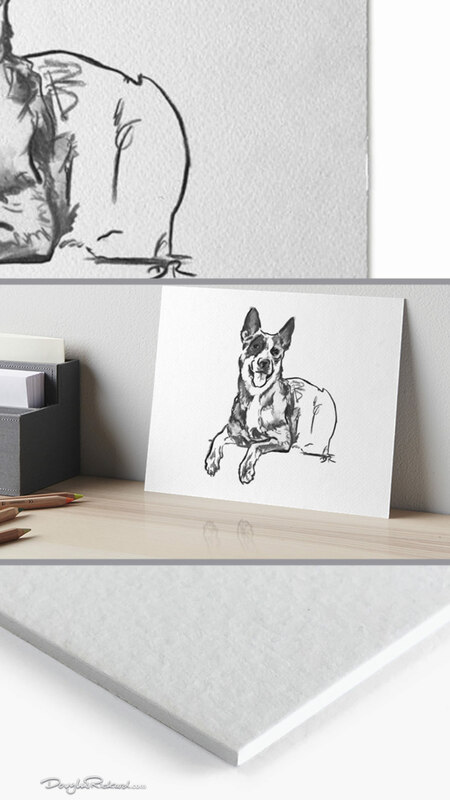 Considering this companion will go everywhere you go anyway… where would you display this art? 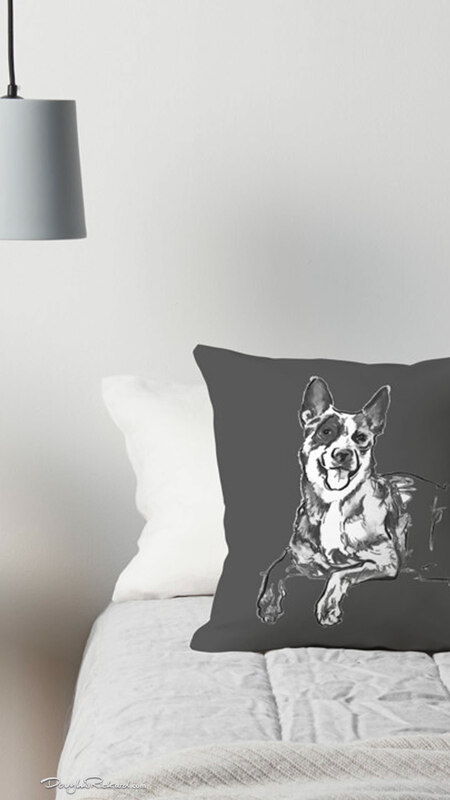 There’s a strong cotton shoulder strap to grab when you need to catch up on Blue Heeler tote bags and these charcoal color Australian Cattle Dog throw pillows won’t show quite so many paw prints. 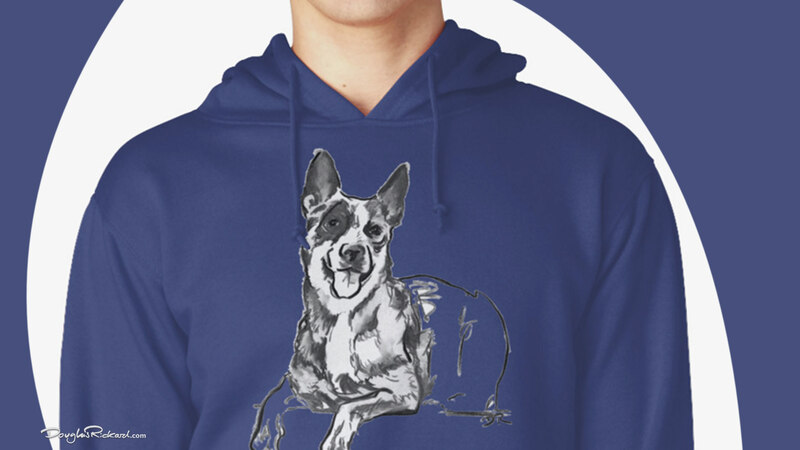 And when you’re out overseeing some herding or just leading a walk in the park, you might want to go full Blue Heeler alpha and wear the t-shirt! 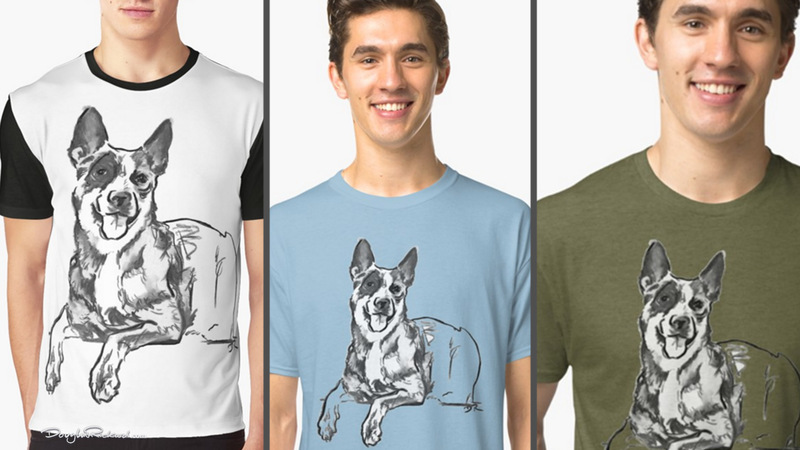 Mens T-Shirts (shown below, left to right) …and not just in blue: Graphic T-Shirt | Classic T-Shirt in Baby Blue | Tri-blend T-Shirt in Green Triblend. 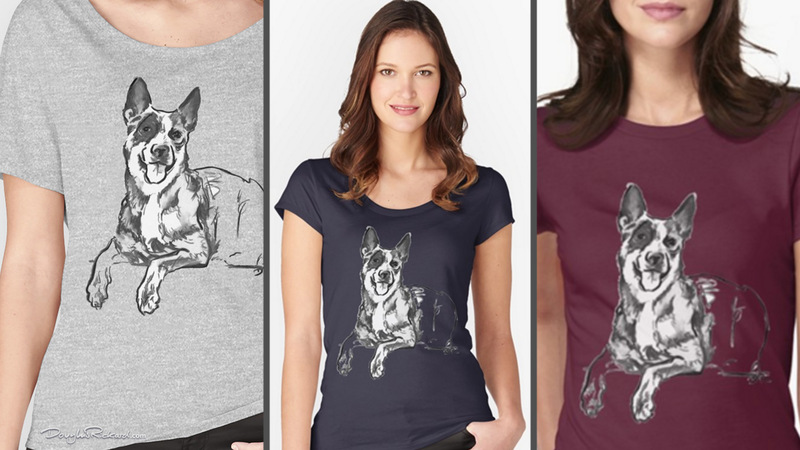 If you’re out solo, everyone is going to know of course, who’s waiting at home when you wear one of these women’s t-shirts too: (shown below, left to right) Relaxed Fit T-Shirt in Athletic Heather | Fitted Scoop T-Shirt in Navy | Fitted T-Shirt in Cranberry. 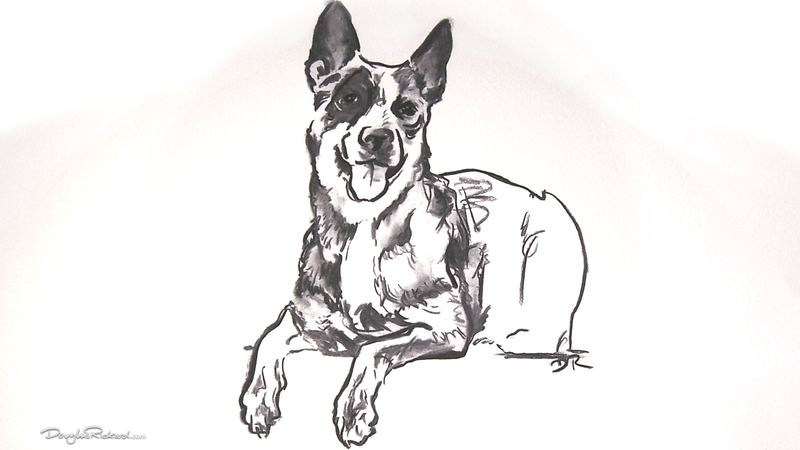 Now as most owners are like their dogs, or so they say, every Australian Cattle Dog owner is bound to be high-energy at work too. 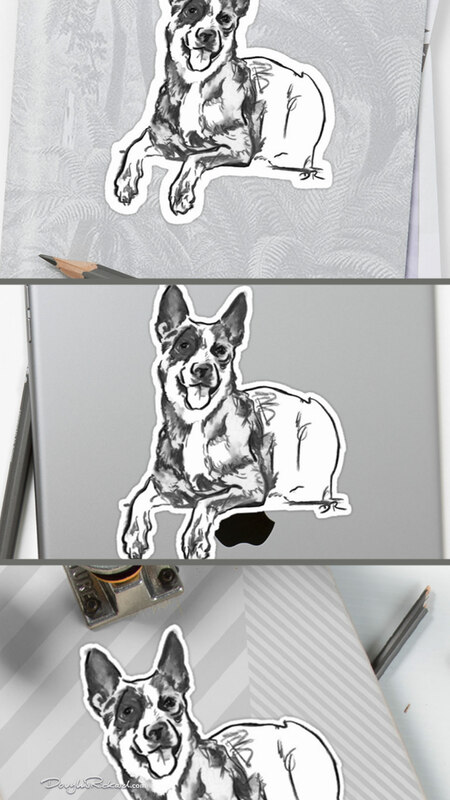 So why not mark your work territory on your iPhone case, wallet, laptop skin or iPad case, especially for when you’re next outdoors on the plains! 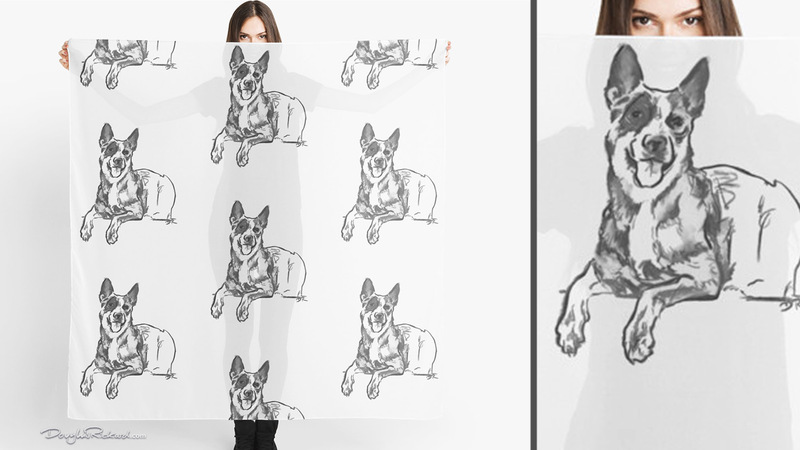 The most outdoorsy Blue Heeler female owners could wear this scarf at their next fancy party, complete with a sturdy looking 4ply Cattle Dog art board on display (or maybe just a large sticker of your loyal, hard-working companion on the refrigerator full of beers). 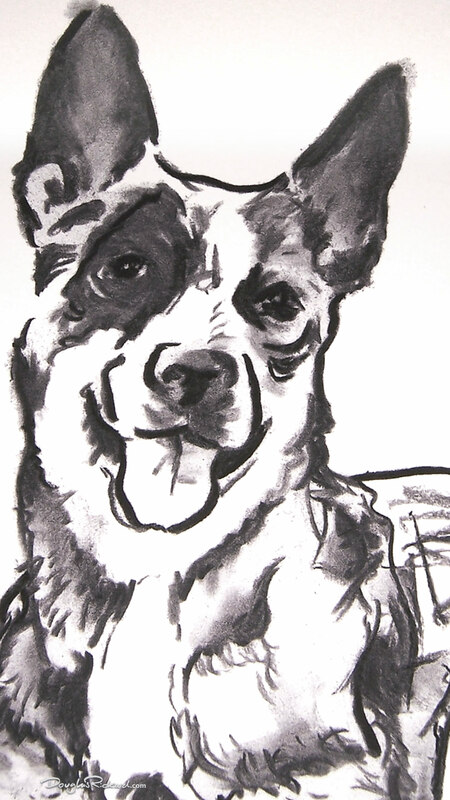 Daring, without-hesitation charcoal lines which round up the courageous contour of the Australian Cattle Dog in this art, have got to be apt for any assertive alpha owner! 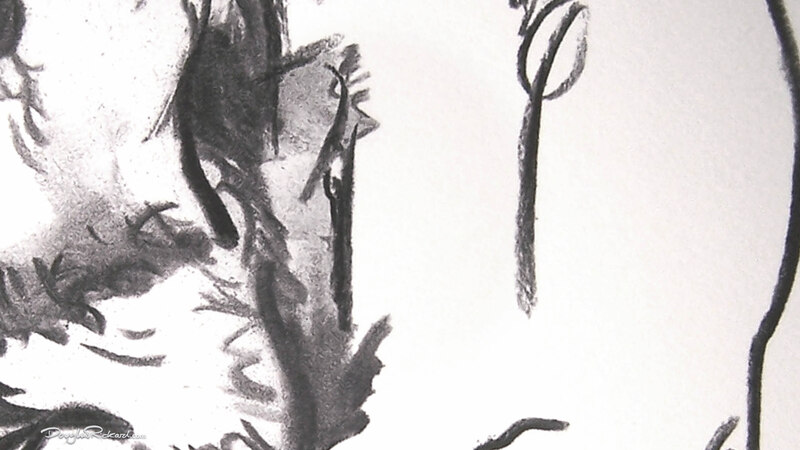 If you’ve ever seen any of my mixed media drawings which appear to be half developing into color, then this could be the pure charcoal drawing equivalent. 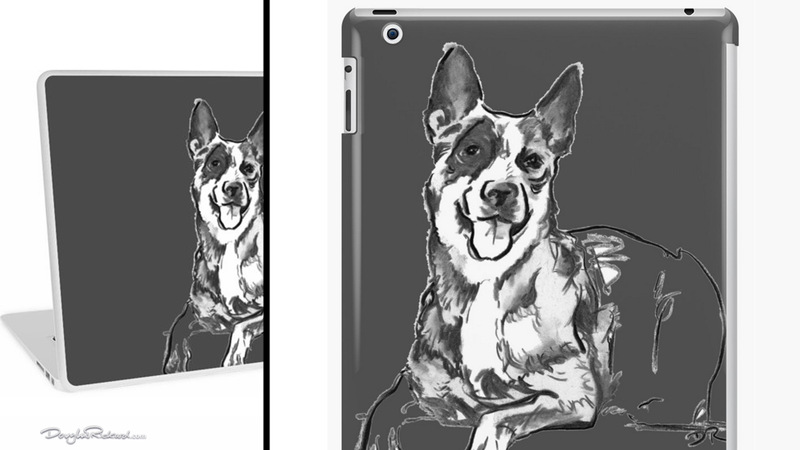 The blue heeler’s fur, tongue and twinkling eyes spring out in more detail from the pure line starting point of this perky dog’s shape. 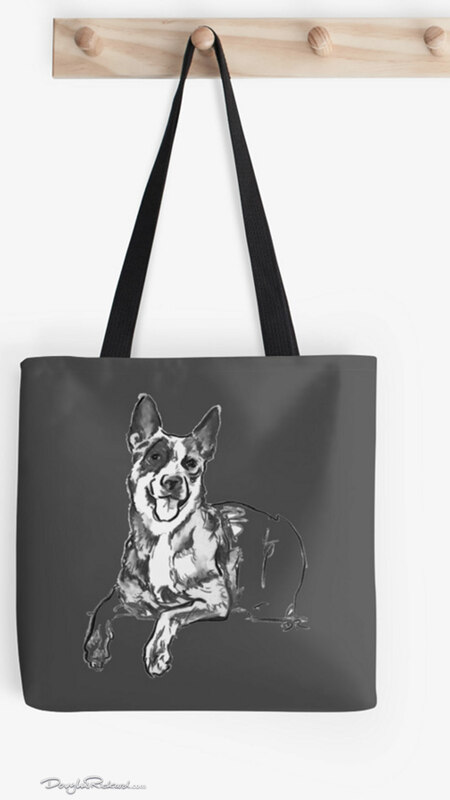 This aspect could make for an even more interesting drawing when the canvas is filled with the color of your choice, when purchasing my blue heeler art on something like a hoodie from my Redbubble shop. 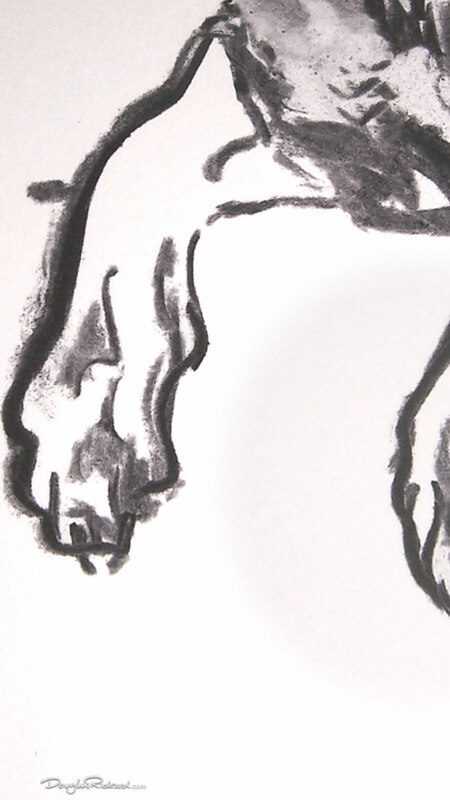 And of course you don’t have to choose… blue!